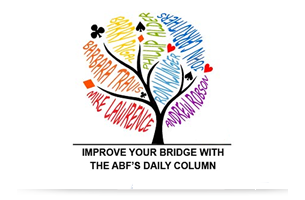 Over the next two or three years, the ABF plans to include here brief biographies of the main pioneers and developers of bridge in Australia, including those who are part of the ABF’s Committee of Honour and others whose work pre-dates the ABF or have otherwise made a major contribution to Australian bridge. The biographies that can be accessed now, and those that are still to come, are based mainly on previously published obituaries and profiles. A particular debt is owed to Australian Bridge; the ABF and various state newsletters; and to Cathy Chua’s History of Australian Bridge for recording information which would now be very hard to get. In addition to the sources we have used though, there are still many bridge players who have extensive personal knowledge of the people covered and the events of the time – we hope that you can help us make this an accurate and comprehensive archive. Help us improve the biographies. As biographies appear on the web let us know about any inaccuracies or omissions and matters you believe worth adding or sources of information that we have not found. We will update the biographies constantly as new information becomes available and will acknowledge all contributions. Join the History Mailing List. We will then send you drafts of biographies before they appear on the web and also will circulate unanswered questions we may have about particular people or events. Once on the list, there is of course no obligation to comment and you can unsubscribe at any time. The ABF biographies are compiled by Keith Ogborn. To make comments or join the mailing list, please contact him at historian@abf.com.au .